A goldfish doesn't need a shark fin, just like David didn't need Saul's armor. What am I putting on that I don't need? Am I pretending to be someone I'm not in order to maintain (a false) peace? Instead of my life, am I living the life someone else wants for me? Am I afraid to let the real me come to the surface? If you know how to be authentically who God made you to be, you'll be able to genuinely love others. If you know how to accept others for who they are, you'll be able to accept God for who He is. You can LOVE your God-given design even if you currently struggle with self-doubt. You can forget who you aren't and discover who you really are. Licensed Christian counselor Matt Pavlik helps you bring who you think you are into alignment with who God knows you to be. Whatever you want from life starts with knowing who you really are. With a Confident Identity, you'll experience an unstoppable joy that keeps you energized and focused on what matters most to you. Confident Identity is a unique three-part workbook. Part I provides a comprehensive understanding of what identity is and what it isn't. You'll learn what your identity is supposed to look like and how to find healing and reach your God-given true identity. Physical: How well do you accept God's design of your body? This includes appearance, coordination, strength, and craftsmanship. Gender: How well do you accept God's design of your sexuality? This includes acceptance of your biological sexual identity. Do you feel like you belong in your gender group? Cognitive and Emotional: How much do you focus on thoughts versus feelings? How much have you worked to integrate the two together? Spiritual: This covers both your general spiritual identity, which you share with all Christian believers, and this also includes your specific spiritual identity. You have a specific place in the body of Christ. You have spiritual gifts that help define who you are. Personality: You have a unique personality. Using the Meyers-Briggs personality system, you gain a better understanding of how God uniquely crafted you. Strengths: You have certain strengths and abilities that set you apart from others. You can use these abilities to accomplish work in a way no one else can. Part III brings everything together so you can benefit from what you've learned. You'll craft an identity statement, a vision statement, and a mission statement to help you move forward with confidence as the unique, gifted person God has created you to be. Physical: How well do you accept God's design of you body? This includes appearance, coordination, strength, and craftsmanship. Do you feel like you don't belong anywhere? Are you living without knowing who you really are? Do you lack a sense of purpose? God designed you for more than just going through the motions. God created you for specific work that only you can fulfill. 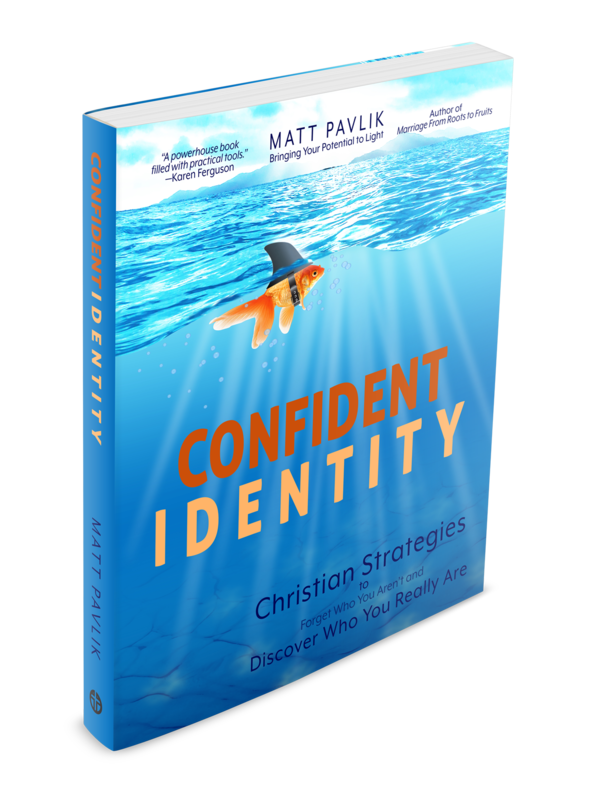 In Confident Identity, Matt Pavlik helps you discover and develop who you are so you can follow God's plan for your life. I wrote Confident Identity to give you a boost forward in understanding and accepting who you are. You can put off doubt, insecurity, and shame. As you read, you'll receive in depth answers to why you're suffering and what you need to do to start really living. Don't settle for the lie that you're ordinary and not needed. God intentionally created you as you are. Step into all you are and start living with more contentment and joy, no matter how great or difficult your circumstances. This books summarizes the encouragement I need to have a Confident Identity. I trust you will find the same strength as you read it. 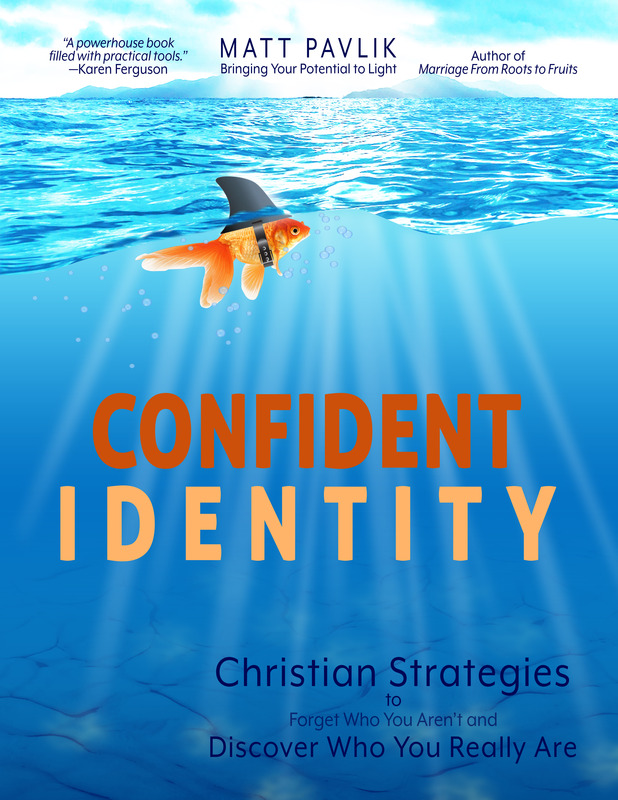 Confident Identity goes beyond helping you see your identity in Christ. Every Christian shares the same benefits of being in Christ. This book covers what having a created identity means from Biblical, psychological, and a physical perspectives. You'll understand your unique identity and purpose. No one else can fulfill your purpose. Have you ever read a book that leaves you in a thoughtful place of contemplation long after the last page has been turned and the book is closed? Confident Identity is that kind of book. Days after reading its final pages, I found myself deliberately and intentionally processing the content of this book. Thinking through my personality, pondering my gifts, and praying through my God-given and life-shaped identity, I couldn’t shake the significance of its words. I felt a sense of purpose after reading its words — a driving challenge to explore, expand, and exercise my identity for not only myself but also for the edification of those around me and for the glorification of my Heavenly Father. Confident Identity is a conversation-starter, a thought-generator, and a game-changer. Combining Scripture, clinical theories, and practical tools, Matt has thoughtfully crafted a beautiful resource for not only those seeking to better understand and strengthen their identity but also for those who work in both lay and professional settings. The book is filled with an abundance of insightful questions, constructive ideas, easy-to-read charts, and meaningful activities and tests which allow an individual to thoroughly explore and contemplate their identity. This resource does a wonderful job of providing the reader with mini therapeutic sessions that can be done in the confines of a home, over a cup of coffee with a trusted friend, in a church community group, or even in the safety of a therapist’s office. As a therapist myself, this will be in a quick-to-reach spot in my office, as I see this book being a helpful clinical resource when thinking through treatment plans and case conceptualization for those who are struggling in understanding, defining, and forming their identity. Every follower of Christ could benefit from reading and engaging with the content of this book; I know I have. "A powerhouse book packed with examples, media recommendations, diagrams, and self-assessment tools, this isn't merely a "light-read" for the weekend. This is an integrated and interactive book useful for self-discovery. Encouraging, insightful, and grounded in the Word of God." Matt Pavlik is a licensed professional clinical counselor who wants to see each individual restored to their true identity. He's written two books: one on identity and another one on marriage. He has more than 15 years of experience counseling individuals and couples at his Christian counseling practice, New Reflections Counseling. 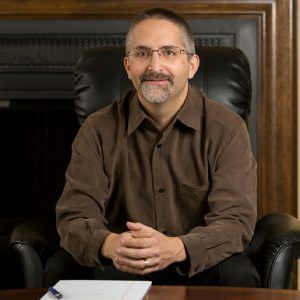 He completed his Masters in Clinical Pastoral Counseling from Ashland Theological Seminary and his Bachelors in Computer Science from the University of Illinois. Matt and his wife Georgette have been married over 15 years and live with their four children in Centerville, Ohio. Matt’s mission is to use the wisdom he receives from God to help others understand God’s design for life. Learn more at about the publisher: Christian Concepts and the author MattPavlik.pro.